« What are Boris’s chances of becoming Tory leader? 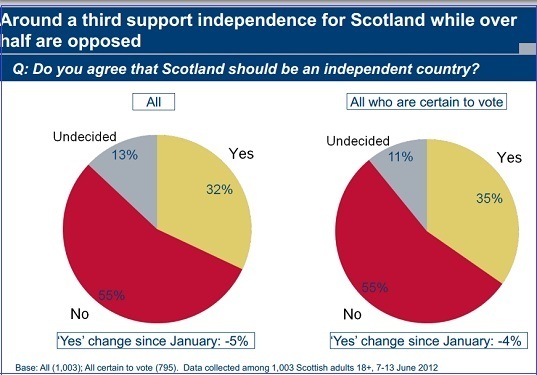 There’s a new telephone poll from MORI of Scottish voters and the results are not encouraging for Alex Salmond or his party in their effort to secure a YES vote in the 2014 Independence referendum. On top of that the SNP leader sees a decline in his satisfaction ratings although they still remain positive. These are some of my Tweets.